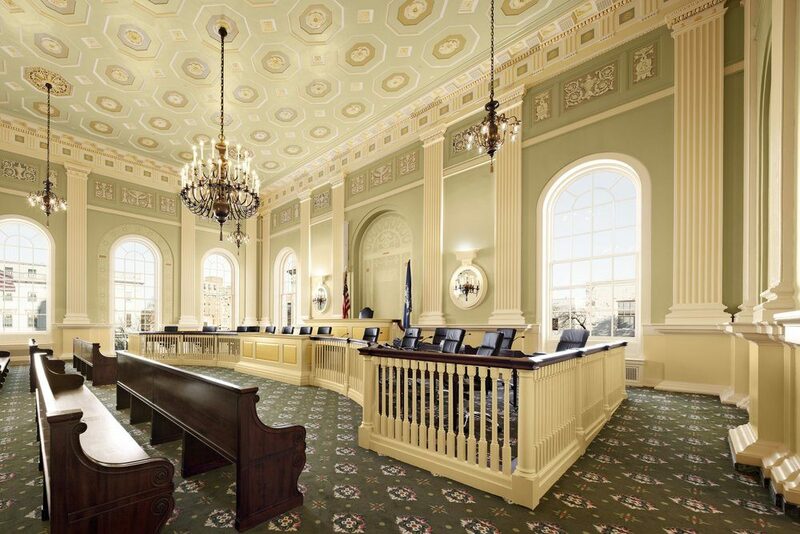 Waterbury City Hall Restoration | John Canning & Co.
Canning Co. historic paint analysis and historic restoration of decorative paint and plaster brought the Cass Gilbert designed Historic National Landmark back to its original splendor. Waterbury City Hall was designed by nationally acclaimed architect Cass Gilbert and completed in 1915. It is the focal point of a group of buildings designed for the city by Gilbert, which are included on the National Register of Historic Places as the Waterbury Municipal Center. 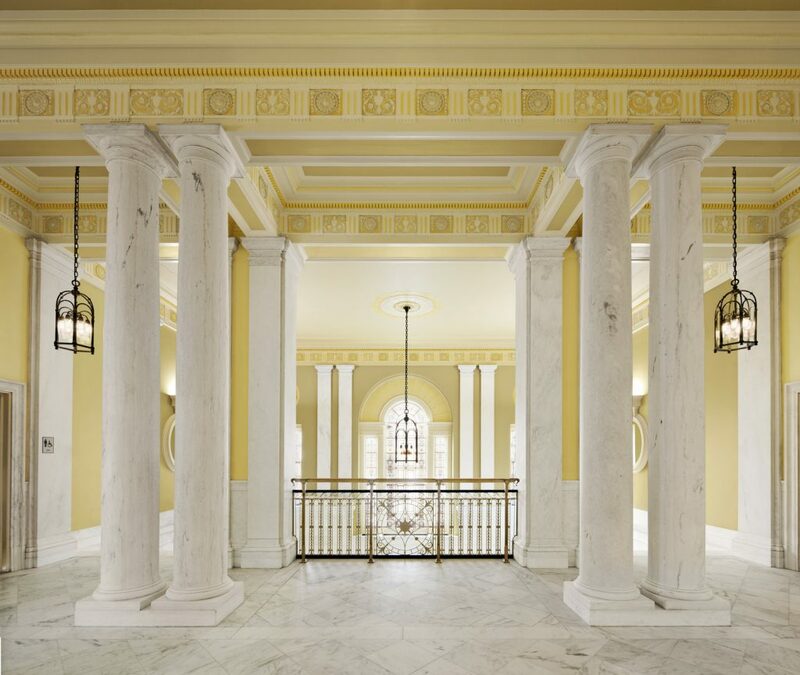 The restoration project involved a plaster conditions survey and extensive repairs to ornamental and flat plaster in the north building, including courtrooms and the former mayor’s offices, the most historically significant interiors in the City Hall. the decorative finishes and historic color scheme were reinstated and original artwork conserved.